Our shop is based in Harlesden, NW10 and we offer customers a huge range of wide fitting sandals, boots and shoes for every occasion. We have over 40 years experience in this area and our knowledgeable staff will ensure you get the perfect fit every time. 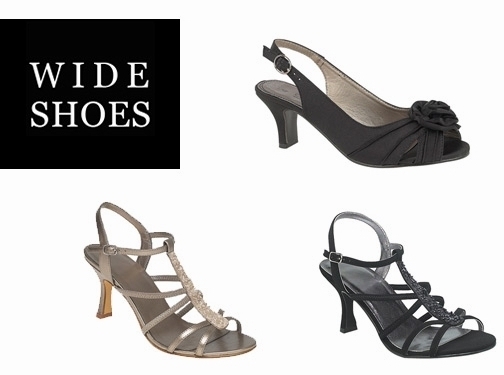 We offer ladies shoes in sizes up size 10 and widths up to 6e. We ship throughout the UK for only £3 per pair! Look out for our new dedicated wide fitting shop which is opening in Wembley in Autumn 2014! We have a great range of wide fitting summer sandals and some fantastic wide fit budget sandals from £10!! UK (Harlesden, London) based business - established over 30 years ago, and with high street presence - providing wide-fit shoes for sale. Website includes e-commerce facilities, delivery and returns information, terms and conditions, details of business premises, size guide, full company contact details.